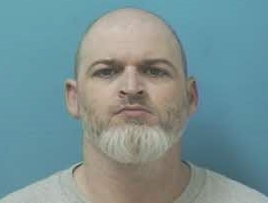 A Franklin man is out on bond after a road rage incident with a gun lands him in jail for Aggravated Assault. Wednesday afternoon, officers were dispatched to Mack Hatcher and Liberty Pike where the victim reported having a gun pointed at him by an aggressive driver. The suspect was said to have repeatedly sworn at, and used obscene hand gestures toward the victim before finally passing his vehicle while pointing a pistol at him. The victim provided officers with the license plate number and a description of the suspect vehicle, leading officers to 39-year-old Matthew Wood’s Franklin residence. There, officers found the loaded 9mm handgun Wood used in the center console of his vehicle. Wood, charged with Aggravated Assault, is free after posting a $10,000 bond. He is due in court 12/10/2015 at 1:00 pm. Irrational drivers who turn their aggression into a violent encounter in Franklin will not be tolerated. If convicted, Wood faces up to six years in prison and a fine of up to $10,000. If you are confronted with violence during a road rage encounter, the best way to protect yourself and your family is to lock your doors and drive away from the danger while calling 911. Thank you for what you do!! We appreciate you immensely!! !